SpringFEST is the annual spring concert planned by MIT's Undergraduate Association. Each year top artists are selected by the committee to perform for the MIT community, with the focus being undergraduates. The identity of the artist each year is a well kept secret until the Artist Reveal, where the artist is announced, with much fanfare and delicious food. 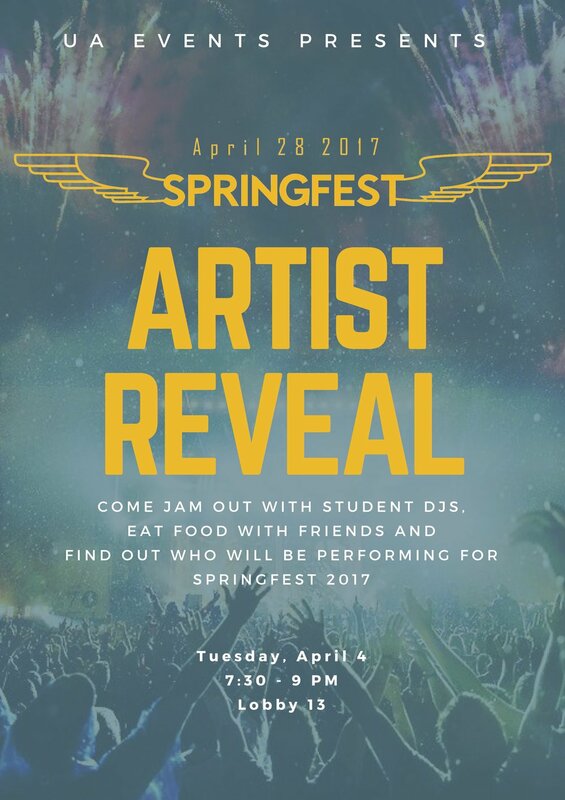 Leading up to the SpringFEST concert is a week of fun filled events, to bring students of different interests together. 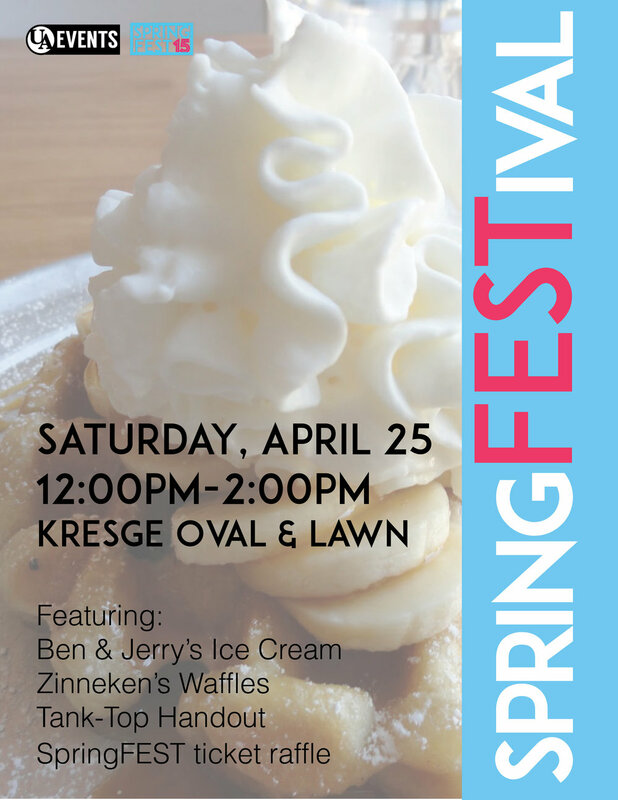 From food trucks and fun, to a cappella groups, and comedic troops, and much more, SpringFEST week has something everyone can enjoy.